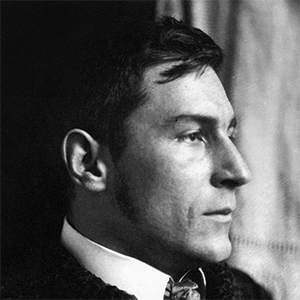 The painter Franz Marc was one of the key figures of the German expressionist movement. His work is characterized by bright primary colours, abstracted portrayal of subjects, stark simplicity and profound emotions. He is most famous for his images of brightly coloured animals, especially horses which he used to convey profound messages about humanity nearing its downfall. He looked to the primeval world as an antidote to modern civilisation from which he felt increasingly alienated. Nature and animals were more than just pleasing to him; they were spiritual beings and means of relocating what had been lost in toxic modern times. Thus, his paintings of animals are suffused with an almost meditative reverence.